This Wide Body Mazda RX-7 Has An L99 Engine Under The Hood . 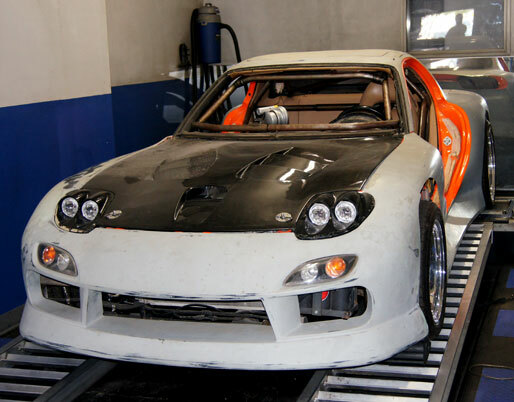 While we normally tune domestic cars, this wide body RX-7 was too interesting to pass up. Not only does this particular RX-7 have a 6.0L iron block L99 based engine hiding in its tiny engine bay, it also has a full cage and air ride suspension.